Are you using a BLU smartphone or tablet? If yes, are you looking for a way to connect your device to the computer? If yes is your answer again, you are on the right page. Download BLU USB drivers given here (based on your model number), install it on your computer and connect your BLU device with PC or Laptop successfully. Since BLU doesn’t offer PC Suite software, downloading and installing the USB driver on your computer is the only way to connect your BLU smartphone or tablet with your PC or Laptop computer. 1) BLU Mobile officially provides all the USB drivers given here. So, if you encounter any issues while using these drivers contact their support team. 3) If you would like to get Android rooting tutorials, stock firmware upgrade tutorials, custom recovery installation tutorials, etc., for your BLU smartphone or tablet, do let us know by dropping a comment below. 4) If your BLU device is corrupted, download BLU stock ROM firmware and flash it on your smartphone or tablet to get it back to a working condition again. 5) If you can’t find the USB driver for your BLU smartphone or tablet on this page, drop a comment below. We will add it here as soon as possible. We can’t find a working rooting tutorial for your device. Will add it here as soon as I get one. Don’t know if it is true but SRSRoot claim it can. Have you checked? Nope, we haven’t tried it at all. But you can download SRSroot from here: https://rootmydevice.com/download-srsroot-one-click-rooting-tool/ and try to root your device. I like to upgrade my studio 5.3 S to a new version of the android. Also how do you install the drivers on my computer for my phone. BLU LIFE XL – Can’t find Driver for 5.1 would the 5.0 work for this phone? Can’t find driver for Blu Advance 5,5 for Win10. The Blu Advance 5.0 driver doesn’t work. All Ready Added From the List. Não consigo encontrar o driver do Blu Neo Energy Mini N130U DualSim Tela 4. Do you have a driver for the BLU Life Max? 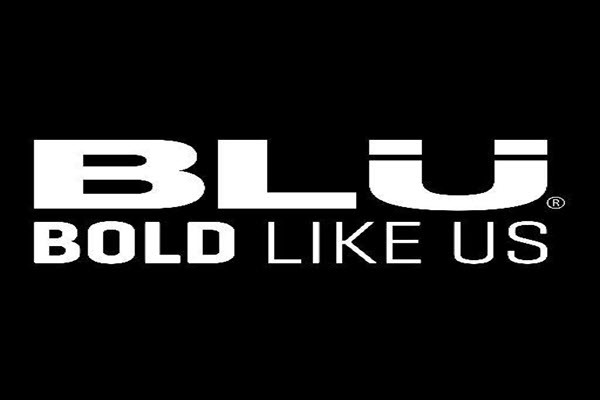 Não encontrei o modelo BLU BOLD LIKE US na lista. Devo baixar um drive correspondente? i also need the driver for the energy diamond mini! i also need the driver for the energy diamond mini! how to root would also be appreciated. thanks. I can not download any of my pictures to my laptop. I was told my charger was not for data, so I went & bought another cord for data and it still won’t work and my phone Blu Vivo 5R is not on your list of options. This is very important to me. Do you have the driver for BLU Studio XL 2? Do you have the drivers for Studio XL 2? How to install TouchBook M7 drivers? There is no .inf file to install it, and Windows is looking for method to do it. Hola que tal!tengo un Blu Studio M LTE y cuando conecto a la pc, no salen las carpetas para poder bajar contenido a la pc, como en la lista mas arriba no encontre su drive, servira de otro modelo?muchas gracias! How to root BLU Advance 5.0 HD please it is urgent. Been searching and searching for Blu vivo xl 2 root to no avail. He drivers are not here either. As an added hurdle I do not have a Windows box. I do have an Android TV box that is rooted. Any advice on rooting my phone? tengo un blu estudio g 6 y no encuentro el controlador para bajarlo, puedes ayudarme? hola! tengo un blu life play 2.. servirá igual para el blu life play? New BLU Studio J5 (LTE) Please?! When blu vivo 8 firmware available? My blu vivo 8 dead. Looking for BLU Diamond M Android Version 6.0 download – Want to save my pictures to my laptop. Looking for BLU Diamond M Android Version 6.0 download – Want to save my pictures from my phone to my laptop. Hi I’m looking for drivers for the BLU Advance 4.0M please. Is there any driver for BLU R2 LTE? usb for Blu R1 plus please? Can’t find driver for BLU Advance 5.2, can you help me? I need to update my Life One L120 (2014). It’s running a 4.1.2 android version. Four years and still working fine, but apparently the ‘world’ don’t let me use it anymore, So, I already download the stock room file, but couldn’t find the usb driver in this page. Do you by any chance have it? I do appreciate your help! Blu studio G3 , please.. I have a BLU phone, Mega Studio model, trying to connect to Windows computer (v. 7, 8, and 10). Which one of the USB drivers could do it for me? Thanks much! Thanks much! I am going to try it. Nothing has worked so far on connecting this phone with a computer. Why is mac never supported for anything, Every single time i try to do anything its always windows. I am looking for the Blu Life One X3 drive.which is not listed.I am having problems in pairing the phone via blutooth with my mac and alexa.